The increasing concentrations of ambient ozone observed during recent decades in many industrial and rural regions of the world present hazard for vegetation and human health. The problem of protection of sensitive vegetation from ozone damage could be ameliorated by replacement of sensitive biotypes with more tolerant ones as well as by application of chemical protectants. However, application of synthetic protectants will pollute the environment and agricultural production and may also have dose-dependent toxicity to vegetation. Therefore, it is urgent to develop alternative, environmentally antiozonants, for example, compounds based on natural plant antioxidants. In this article the literature has been reviewed in search of works relating to the potential of natural plant antioxidants that might serve to protect sensitive vegetation from ozone damage. The following groups of antioxidants have been discussed: (i) ascorbic acid and its derivatives, (ii) phytohormones, (iii) flavonoids, and (iv) polyamines. The physiological aspects of their protective effect on ozone-sensitive crops have been considered. 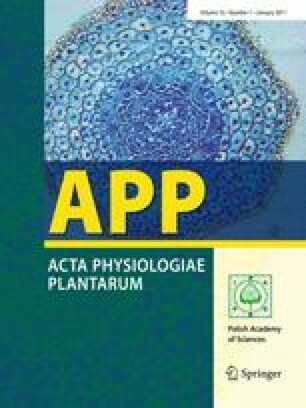 Possible phytotoxicity resulting from their application in the field has been discussed. The issues needing further studies have been outlined. This work was supported by the Science & Technology Center in Ukraine (project N 3894) and by “M.M. Gryshko” National Botanical Garden of the National Academy of Sciences of Ukraine. The authors extend their thanks to Prof. Reginald Noble (Bowling Green University, USA) for helpful editorial suggestions prior to finalizing our manuscript.